Daryl Laub has a long and distinguished carreer in broadcasting. He began working in radio in 1943 at WOBH in Rapid City, South Dakota. This was followed by postions at WLOL in Minneapolis, WLAC in Nashville, Tennesee, KNOX in Knoxville, Tennessee, WJJM in Lewisburg, Tennessee, and KMBC in Kansas City, Kansas. In 1949, Daryl returned to Minneapolis to join WMIN. With the launch of television in Minneapolis, Daryl Laub joined WTCN-TV, channel 11, in 1953 and launched the first costumed children’s show in Minneapolis. Daryl had some success advirtising children’s toys on channel 11, and used this to pitch the idea of a children’s show, but was told “we have no budget.” He created the charactor of Skipper Darl, using a simple set a chair, a rail, and seaguls in the background. The program was a success and was followed soon after by J.P. Patches, the Carnival Clown. In 1953, WTCN in Minneapolis shared channel 11 with WMIN in Saint Paul, switching between the stations every two hours. In 1955, the two stations merged to become WTCN-TV. 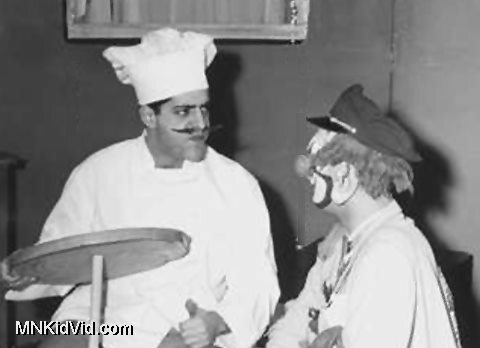 J.P. Patches would now be visited by Joe the Cook, played by Chris Wedes, and Casey Jones, played by Roger Awsumb. In 1955, KSTP-TV made an offer to Daryl and his programs migrated to channel 5. WTCN retained the rights to the character of J.P. Patches, so both characters were renamed. Skipper Darl became Kaptain Kartoon and J.P. Patches became T.N.Tatters. The T.N. Tatters show was known as Circus Sideshow with T.N.Tatters. By late 1956, Kaptain Kartoon had become Captain Daryl and the show was called Captain Daryl on Cartoon Island. At channel 5, Daryl was joined by Roger Kent who played a number of different characters and puppets. The programs continued until 1962. T.N.Tatters later returned to channel 5 for a brief 13 week run in the early seventies. 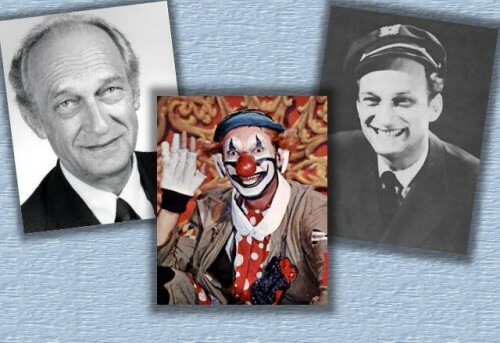 Following the his time as a children’s show host, Daryl Laub moved into broadcast sales, working for the Niemer Agency, KSTP Radio, and United Artists Television. He returned to radio at KQRS working in sales and eventually becoming the station manager. He retired in 1993. Even though his show ended in 1962, Daryl Laub continued to make appearances as T.N.Tatters around the Twin Cities. He is known to have appeared at a local car dealership with Roger Awsumb as Casey Jones in 1983. In 2003, Daryl was inducted into the Minnesota Broadcast Hall of Fame. He appeared at the Hi Kids! events in October 2009 and April 2010 at the Heights Theater, hosted by the Pavek Museum of Broadcasting. Sources: Interviews with Daryl Laub, Chris Wedes, and Al DeRusha; the Pavek Museum of Broadcasting website.